This very unique bracelet is entirely handmade of hand wrought Triangle silver wire. 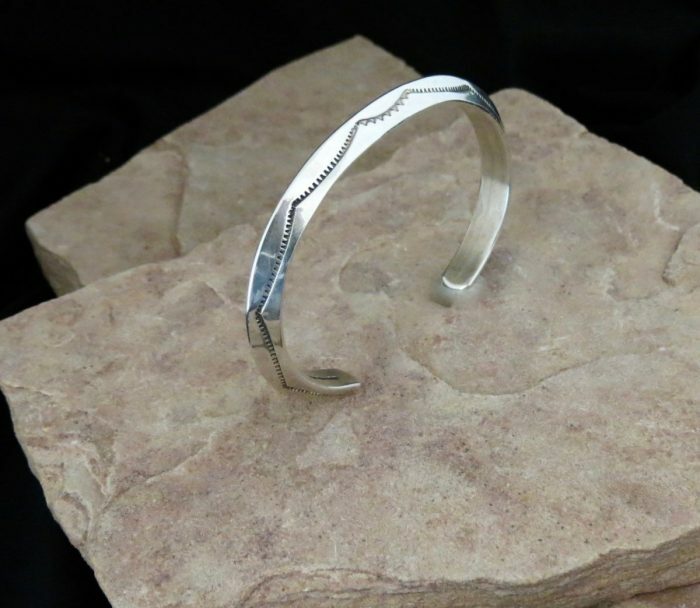 Hand stamped on each side of the triangle . 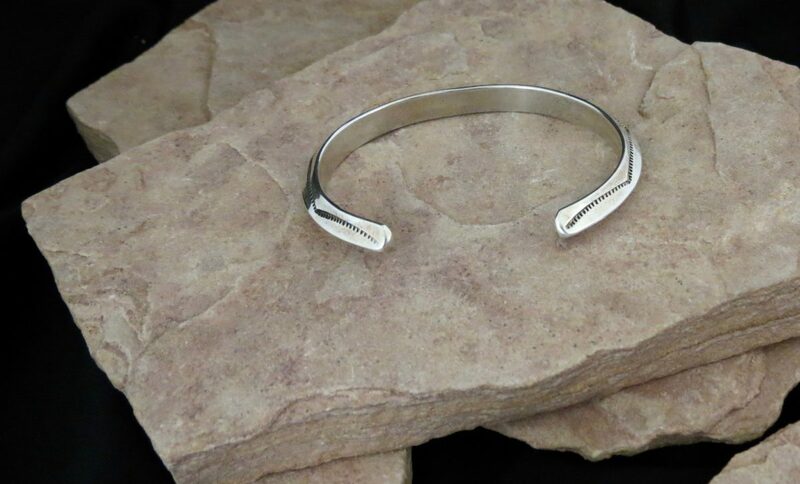 This creates a very unusual design and comfortable fit. The bracelet is approximately 1/4″ wide on the wrist with approximately 6″ inside measurement with an 1 1/4″ opening. 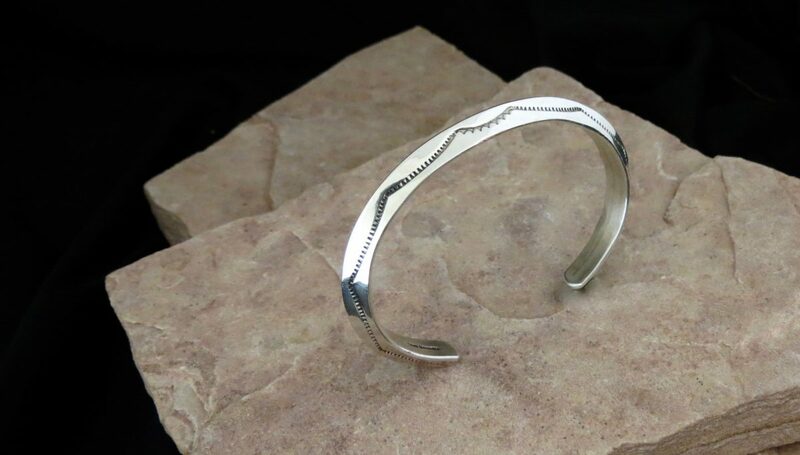 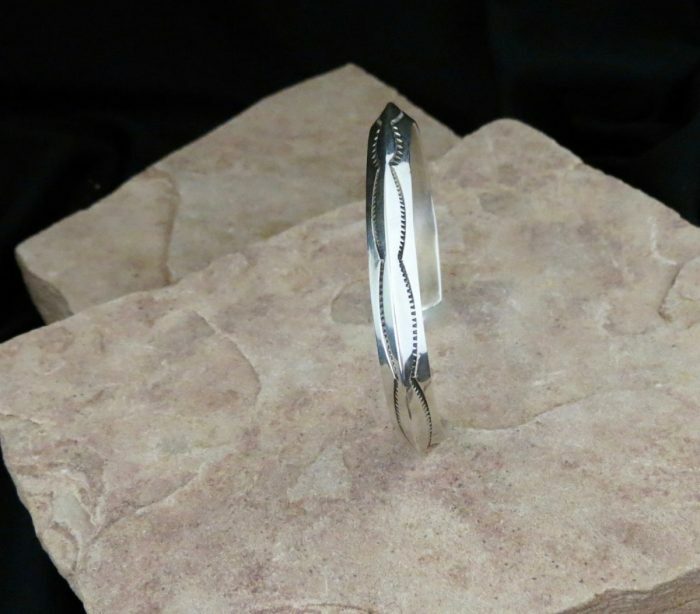 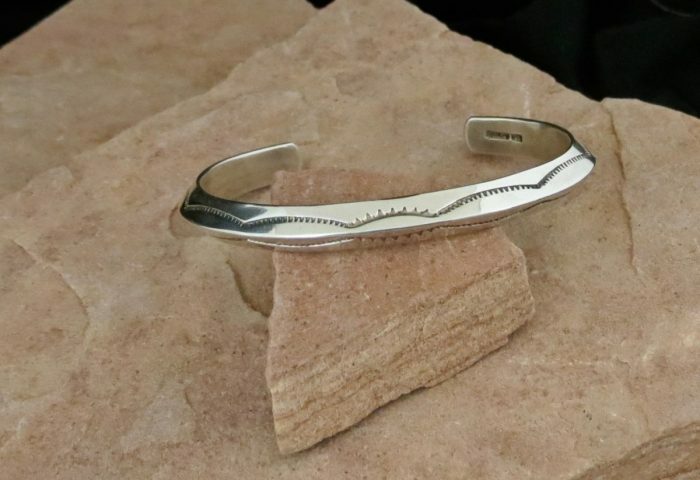 Share the post "BIL 183 AUTHENTIC NATIVE AMERICAN HANDMADE STERLING SILVER BRACELET"